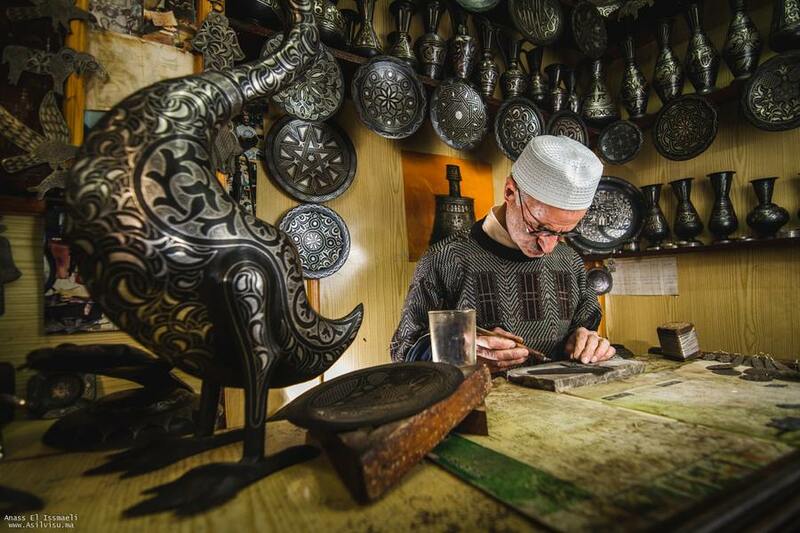 The traditional handicrafts of Morocco are considered important enough to understand the country’s legacy. There is not a house in the country that does not have works of art that is the result of this beautiful traditional art. 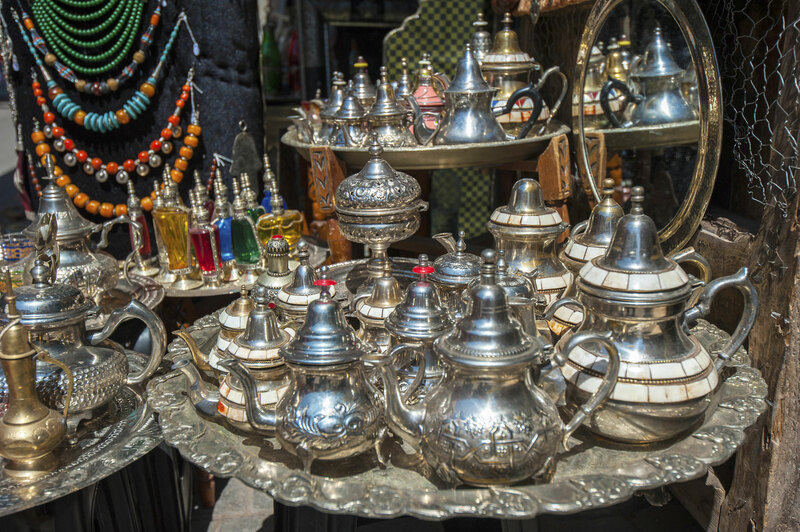 These crafts attract the attention of many travelers who visit Morocco. 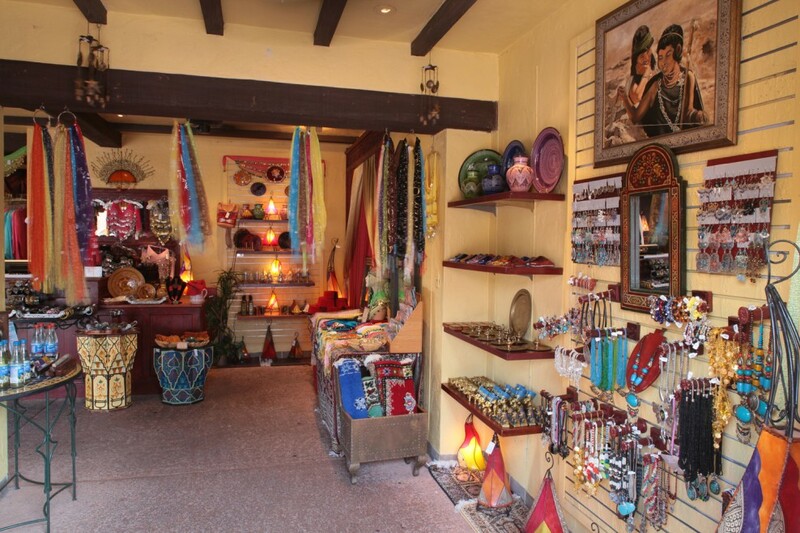 Moroccan crafts also play an important role in promoting tourism in the country. Ceramics has always been one of the most important crafts of the Moroccan kingdom. It has enriched Arab and Islamic civilization throughout history. The pottery of the famous Amazeeg tribes is famous throughout North Africa and attracts the attention of many tourists who travel to Morocco. Pottery in Morocco can generally be divided into two categories. The first is the pottery of the peoples that is characterized by the art and forms of the tribes of Morocco. The other type is the pottery of the cities that is characterized by the geometric shapes of Islamic art. There are also some parts of the country where the traditional contours of tribal art blend with the Andalusian styles, resulting in beautiful works of art. 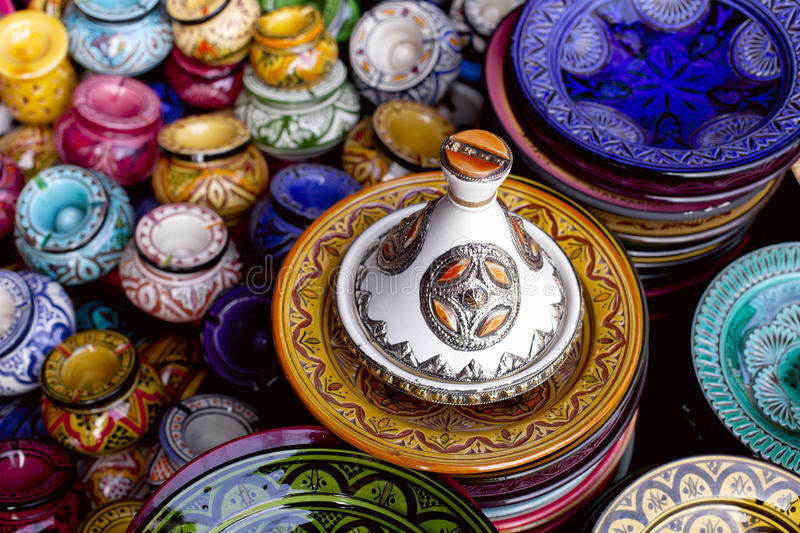 Several tourists who spend their holidays in Morocco buy ceramics as gifts and souvenirs to take home after a wonderful vacation. This is one of the trademarks of traditional Moroccan crafts. The Sharbil is the traditional footwear and shoes of Morocco. Actually, there are many different types of Sharbil. There are the Persian, the Marrakesh, the Elsweira and many other styles of this incredible shoe. Many tourists who spend their holidays in Morocco are advised to buy Sharbils. When walking through all the cities of Morocco, especially tourist destinations, travelers found many of these shoes and slippers everywhere in many stores, because they are beautiful and colorful portraits where tourists who spend their holidays in Morocco are always amateurs. Made of leather, these remarkable shoes and sneakers are the best ones to buy in Morocco. Copper jewelry, pots and various utensils have spread throughout the kingdom for centuries. In the past there was not a home in Morocco that did not have any product made of pure copper. The talented Moroccan craftsmen stood out in the decoration of copper products of different types. 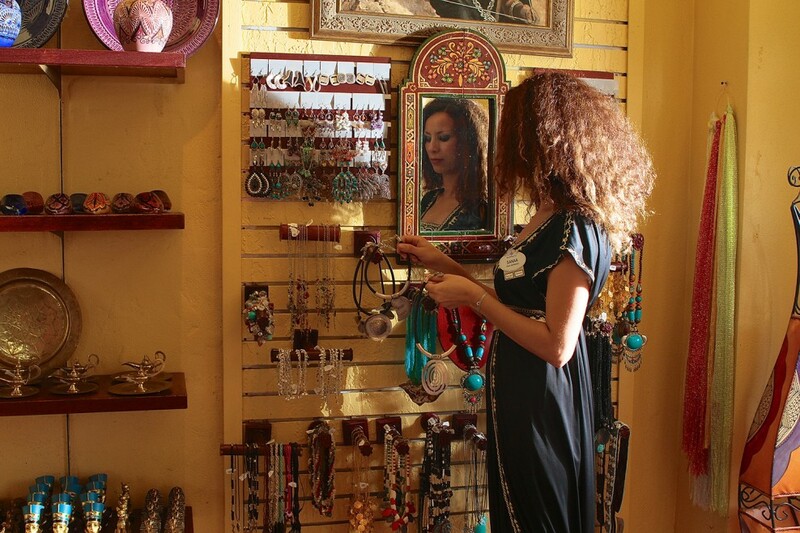 Nowadays, copper products are very popular among tourists who travel to Morocco. There are many cups, trays and dishes that are beautifully made of pure copper, which is characterized by being easily and then dyed in different colors such as yellow, gold, silver and nickel. Morocco is one of the countries that pays special attention to the different crafts of the country. That’s why tourists who travel to Morocco are always interested in buying rational crafts during their holidays. 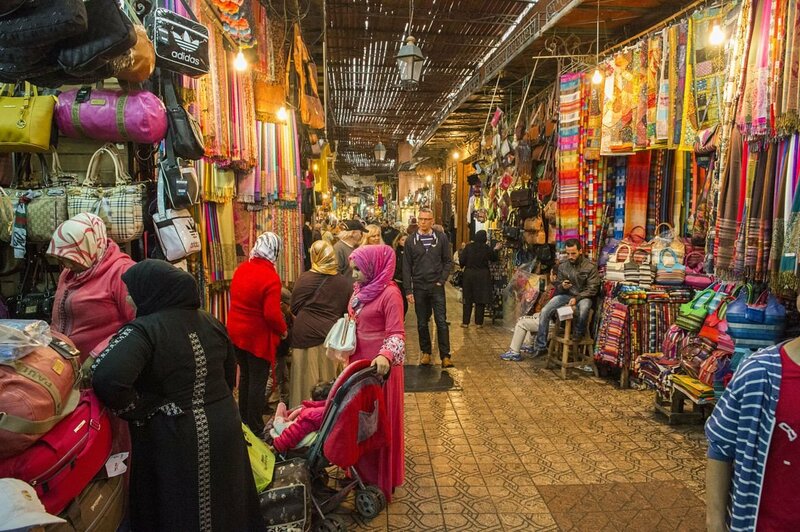 Morocco is also very popular and famous for producing many different leather products, including shoes, handbags, wallets and many other products. Due to the use of the best leather and the talent of the craftsmen who produce these products, many travelers who spend their holidays in Morocco are usually very interested in buying leather from Morocco. Categories Family holiday advice, Honeymoon Tips, Honeymoon tour, Honeymoon tour Destinations in Asia, Honeymoon tour packages in Asia, Honeymoon Vacation, Hong Kong Honeymoon TourTags Leather Products, The Ceramics Of Morocco, The Copper Crafts, THE TRADITIONAL CRAFTS OF MOROCCO, The Traditional Shoes And Slippers "Sharbil"
Next Why Choose Spain As Your Next Holiday Destination?